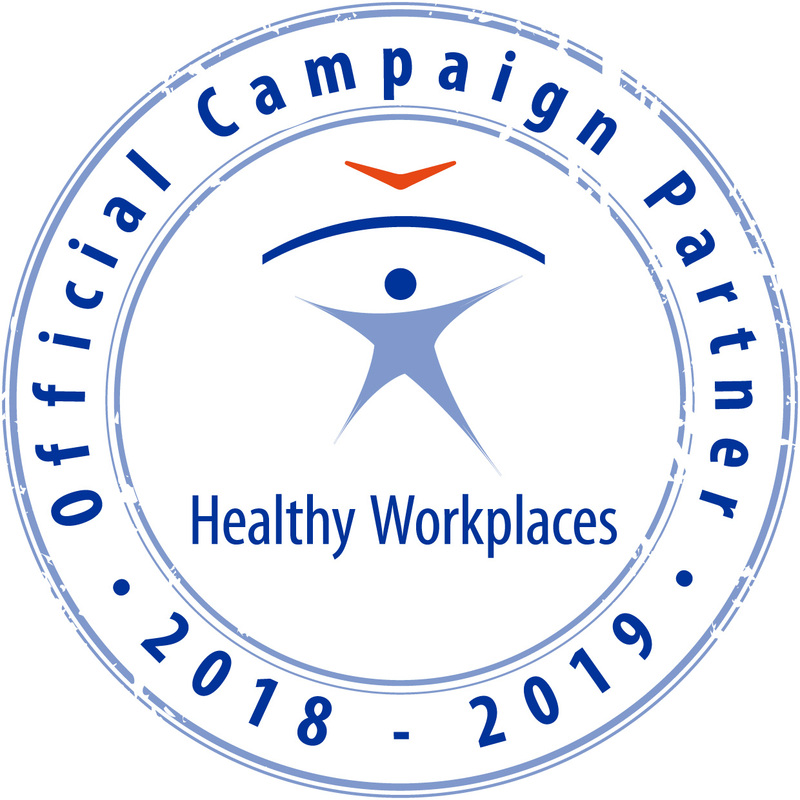 Dr Christa Sedlatschek, Director of EU-OSHA, said: ‘The Healthy Workplaces campaigns have proven once again to be one of the most successful and effective ways of promoting good OSH at a grass-roots level. We are delighted that so many companies and organisations across Europe took part in this risk prevention campaign – they all understand and appreciate the huge contribution that OSH can make to improving working conditions. Using the ever-popular Napo character, EU-OSHA, the European Agency for Safety and Health at Work, together with the Napo Consortium has devised a series of occupational safety and health (OSH) education toolkits for teachers, aimed at introducing health and safety topics to primary school children in an educational, yet fun and imaginative way using the Napo clips and creative activities. The aim is to raise awareness of the current Healthy Workplaces Campaign and its theme. On behalf of the Federation of European Ergonomics Societies (FEES) R. Hoftijzer was present at “The European Social Model” joint seminar of the European Parliament and four European agencies/organizations. The title was The European Social Model “A key driver for competitiveness”. Besides the organisers European organisations like FEES could participate. More than 100 participants were present. The programming mandate M/509 was adressed by the European Commission to CEN, CENELEC and ETSI on the 18th of September 2012. CEN/CENELEC accepted the mandate on the 8th of November 2012. CEN and CENELEC created the Working Group "CEN/CLC BT WG 8 "Protective textiles and personal protective clothing and equipment" with the objective to develop a work programme in response to the mandate. Mr. Henk Vanhoutte (ESF), rapporteur for the PPE sector, was appointed as convenor for this BT WG. A follow-up study to ESENER, the report finds that working environments in EU Member States have a dynamic and changing nature. However, the differences between them are significant. Az Ergonómia Európai Hónapja (EEH) az európai ergonómia népszerűsítésének éves kampánya. 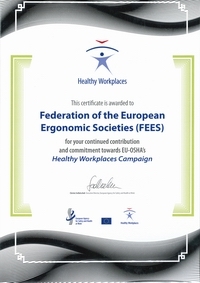 Az EEH-t az Európai Ergonómiai Társaságok Szövetsége (Federation of European Ergonomics Societies, FEES) kezdeményezi, és a nemzeti ergonómiai társaságok valósítják meg, Magyarországon a Magyar Ergonómiai Társaság (MET). Az FEES az Európai Munkavédelmi Ügynökség (European Agency for Safety and Health at Work, EU-OSHA) hivatalos partnere, a MET a magyar fókuszpont hálózat tagja. The 19th Triennial Congress of the International Ergonomics Association (IEA) will be held in the Melburne convention and exhibiltion centre from 9 to 14 August 2015.